I’ve been traveling this month, enjoying other peoples flowers. The neighbors are enjoying mine. 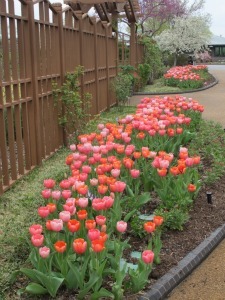 Visit Carol at May Dreams Gardens to meet more flower lovers participating in Garden Bloggers’ Bloom Day. 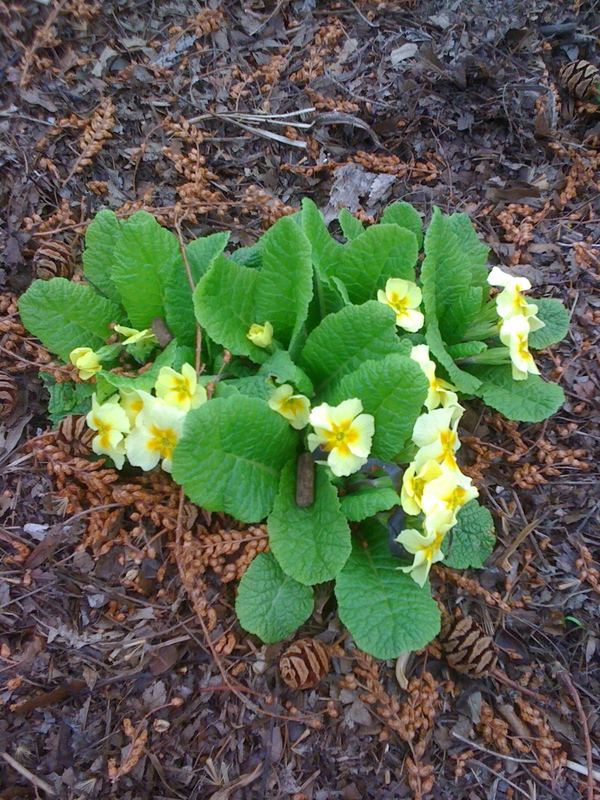 Beautiful primrose is in full bloom when some herbs are just surfacing in April. primrose in the herb garden behind Shaw's home at Missouri Botanical Gardens. 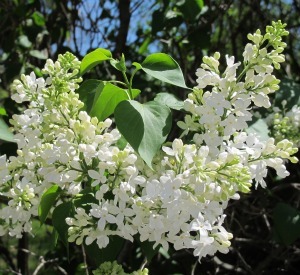 Our travels took us to Independence where we saw these softly fragrant pink lilacs. 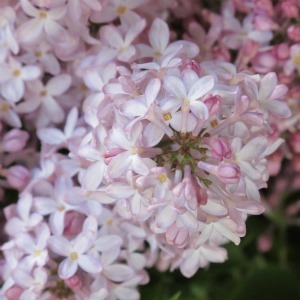 Pink Lilacs with the same heavenly fragrance as the lavender lilacs. 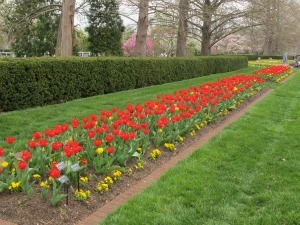 Traditionally, GBBD is April 15. 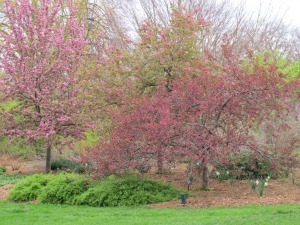 And, garden bloggers share what id blooming in their own gardens. 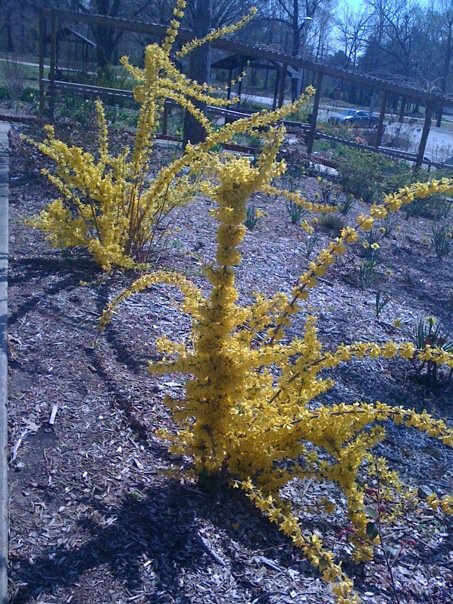 Carol’s idea has grown so we can see the changing of the seasons, and the wave of flowers blooming through all zones both urban and suburban.